Bristol City duo Bobby Reid and Marlon Jackson have joined Cheltenham Town on one-month loan deals. Midfielder Reid, 18, made his senior debut in the final game of last season against Hull but has not featured for the Championship side since. 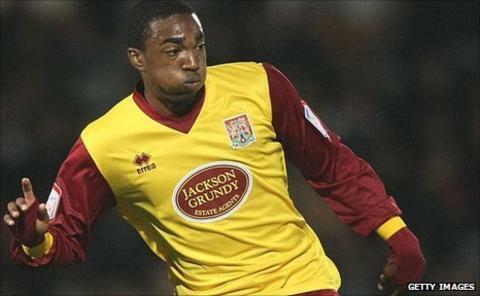 Striker Jackson, 20, has made five appearances for City and recently enjoyed a loan spell at Northampton. He scored a hat-trick against Cheltenham in a reserve team game earlier this week. City manager Derek McInnes told BBC Radio Bristol: "December will offer very little reserve play so it's important they go out and get games."